One of my biggest frustrations in life is playing the piano. 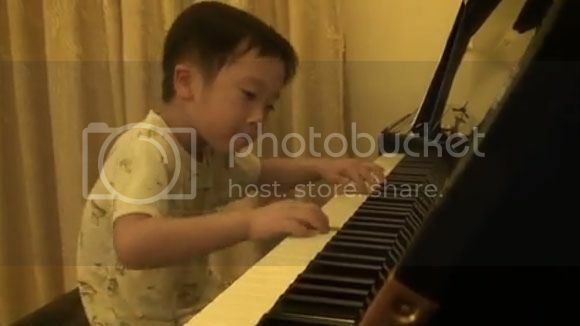 Now, I probably wouldn't even have the guts to start playing thanks to this 5 year-old kid in China. The kid's in his PJ's playing some sick tunes that most of us can't even begin to understand. I don't even know how many notes he's even hitting and I'm just listening to the guy. I'm not sure how he does it but those small fingers seem to be able to reach all those big keys and just make me feel so inadequate. I can't even type that fast on my keyboard. Anyways, you might want to watch the video after the break and get ready to catch your jaw before it hits the floor.